an egg salad is commonly made with mayonnaise. but we’re creating a healthier version by substituting the mayo with creamy avocado. 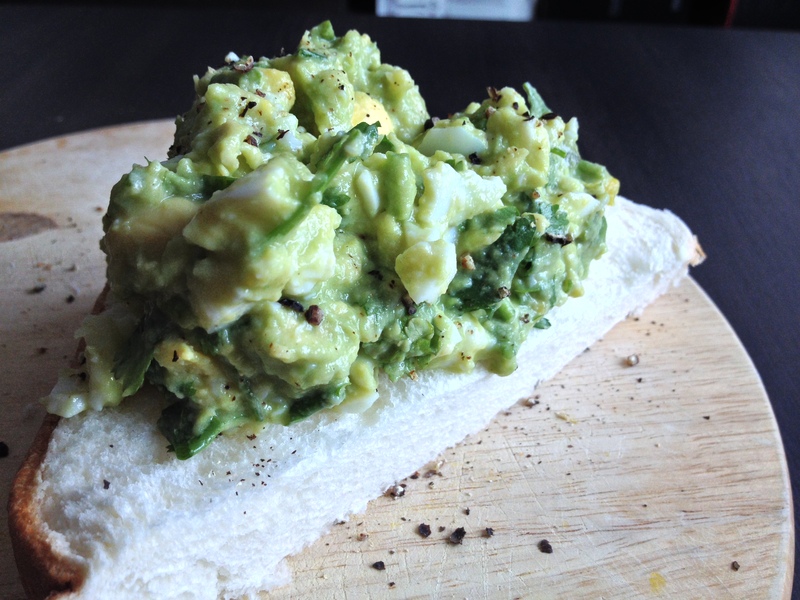 slather this on a slice of bread and you got yourself an open-faced avocado egg sandwich! that’s really yummy.. how can people survive without eating avocado? it’s hard to understand! haha well said! it is such a deliciously healthy fruit! Wow!! That looks and sounds amazing!